One of the greatest gifts you can give yourself is a bedroom that helps you feel at ease, relaxed and pampered the end of the day. A place one can go to switch off from the wear and tear of working life. 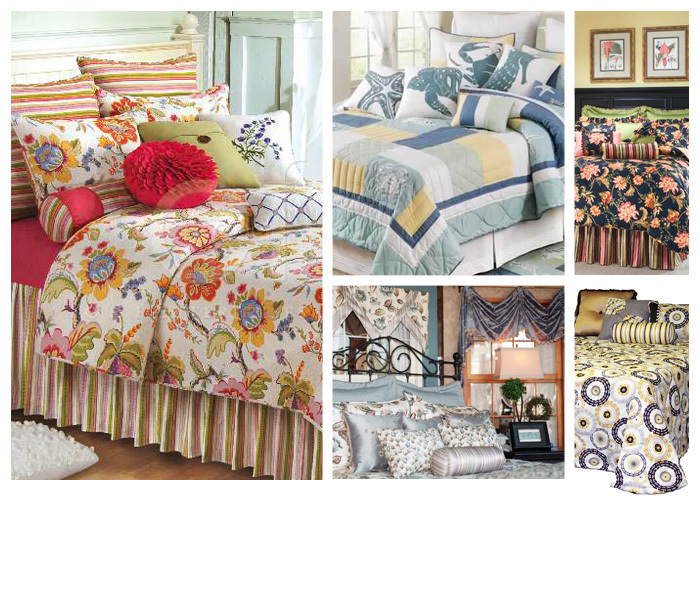 With comforters, bedspreads, duvets and or quilts recreate a mood that reflects your style and personality. Select from a assortment of fabrics to coordinate dust ruffles, pillow shams, toss pillows and create a look all your own. Relive that vacation, or recreate that room you saw in a magazine, wherever you get your inspiration from with fabrics including silk, linen, cotton and more. Get in touch with the kid inside and build bedrooms that reflect fun and delight in being young and carefree with bright colors, charming themes with whimsical and boisterous prints. From luxury to casual, coastal to urban, find the ideal combination that fits your space, style, personality and vision.